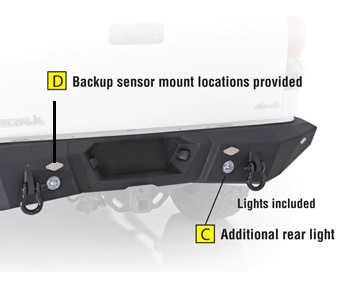 The New Smittybilt M1 Truck Rear Bumpers will set the standard for all Truck Bumpers to follow. Each Smittybilt M1 Truck Rear Bumpers i s manufactured out of 3/16" cold rolled steel with 1/4" mounting plates and powder coated in Smittybilt's signature series two stage powder coat. 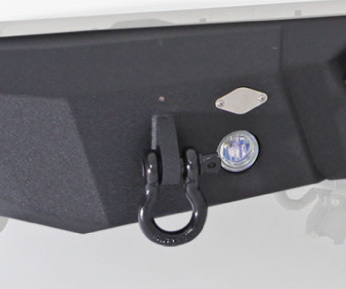 Each Smittybilt M1 Truck Rear Bumpers comes standard with 7/8 inch solid D-Ring mounts and completely bolts on and requires no drilling. When you're looking for the very best in bumper technology look to Smittybilt to set the standard for everyone.